Ethiopia has a population of seventy five million people divided into many ethnic groups. The largest ethnic group is the Oromo, which comprises 35.1% of the population. The Amhara comes next, representing 26.9% of the population, followed by the Tigray at 6.2%, the Somali at 6%, the Gurage at 4.3%, the Sidama at 3.4%, the Wolayta at 2%, the Afar at 2%, the Hadiya at 2%, and the Gamo at 1 %. These various ethnic groups are spread all over the country, not clustered in one spot like those of other countries. Located in the Horn of Africa, Ethiopia is a landlocked country, surrounded by Eritrea, Sudan, Kenya, Somalia, and Djibouti. The land size of Ethiopia is 683,540 square miles, and the capital city is Addis Ababa. Ethiopia is the second most populous nation on the African continent, and one of the world's oldest countries. Addis Ababa is not only a city, but it also has the status of a state. This is the largest city in the country with a massive population of close to three million people. Addis Ababa is a grassland biome at an elevation of 7,546 feet above sea level. The city is at the foot of Mount Entoto, a part of the Entoto mountain chain. Ethiopia is one of the world's fastest growing economies, and relies heavily on exports and labor force. 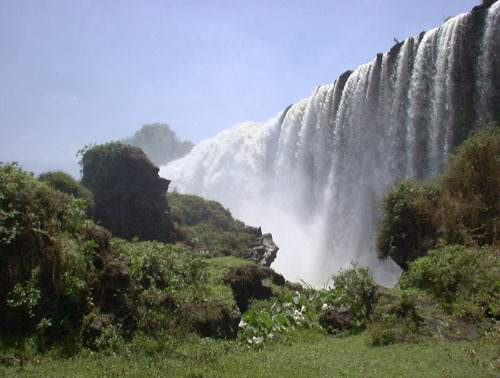 Ethiopia covers 435,071 square miles making it the twenty seventh largest country in the world. 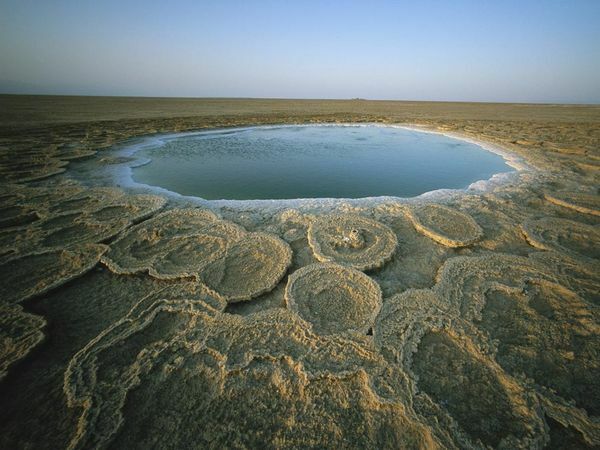 The vast majority of the country is situated on the Horn of Africa on the eastern portion of the continent, and has three climatic zones: the cool zone which is 7,874 feet in elevation, the temperate zone from 4,921to 7,874 feet, and the hot zone 4,921 feet and below. The hot zone can reach temperatures as high as 122 degrees Fahrenheit. The rainy season typically starts in mid June and lasts through mid September. February and March may bring sporadic rainfall, while the rest of the year is dry. In the eighth century BC, the kingdom of D'mt was started in Eritrea and northern Ethiopia. After the kingdom fell in the fifth century BC, smaller kingdoms dominated the area until the Aksumite Kingdom rose and was able to unite the area. In the 1500s, during the reign of Emperor Yeshaq, the country's first diplomatic contact was made with a European country. The modernization of Ethiopia came in the 1880s when the Italians began to fight with the British for dominance in the bordering areas. The conflict between the two countries led to the Battle of Adowa in 1896. Italy signed a provisional treaty of peace with Ethiopia in the fall of 1896. The reign of Emperor Haile Selassie in the twentieth century was a milestone in that the Emperor brought about the rapid modernization of the country. The Ethiopian homeland was liberated in 1941 thanks to the help of patriotic Ethiopian troops and British troops. There are many excellent attractions that draw many visitors each year. 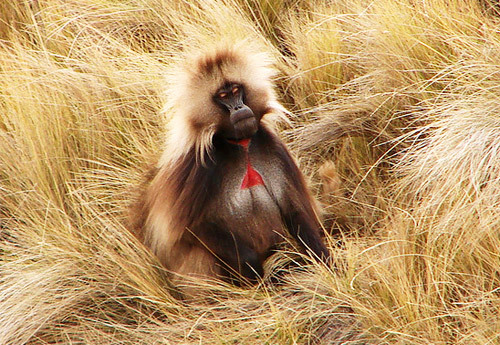 The Simien Mountain National Park is located in North Gondar. The park has three botanical areas. The national park was originally for the purpose of protecting the Walia Ibex, and over one thousand are still living in the park. Visitors can arrange to tour the area with pack animals to carry their gear. The city of Gondar is known for its medieval castles and the unique decoration of its churches. The earliest of these castles were built in the 1630s by Emperor Fasilidas, and are still in great condition. In the Tigray area there is an historical archaeological site called Axum, once the home of the Queen of Sheba. The ruins still contain the palace and the bathing room at this site. Along with Axum there are several other archaeological sites in the Tigray region. There are many bars and nightclubs that are open all night. The more popular clubs are found in the capital, Addis Ababa. 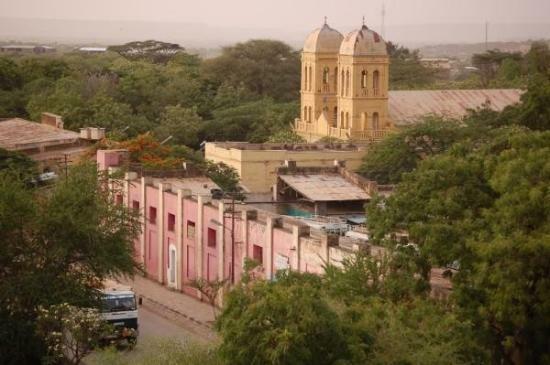 The student town of Dessie is a lively town with various hotels that cater to local, regional, and business travelers with bars that play Ethiopian music that is great for dancing. There are some very unique bars around the country where the staff dress up in a variety of costumes. There are several discotheques that not only play Ethiopian music but music from other genres as well, including, rock, jazz, and hip-hop. There are three prominent religions in Ethiopia. Roughly 62.8% of the population is Christian, 33.9% is Muslim, and 2.6% follow traditional religions, and there are other, smaller percentages that follow other religions as well. Ethiopia's official language is Amharic, a Semitic language that is spoken by roughly twenty seven million people. 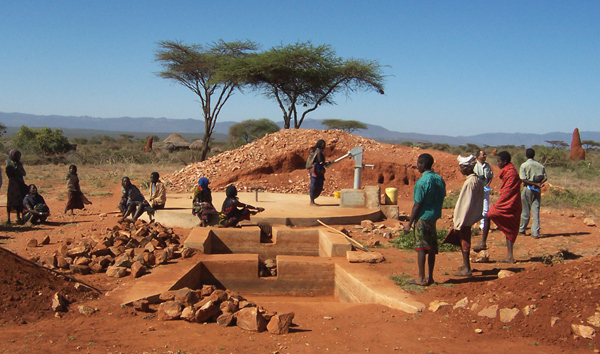 A Cushitic language called the Oromo language is spoken by 30% of the population. The third most common language is Tigrinya, very similar to Amharic but mainly spoken in the northern parts of the country in the Tigray state. The cuisine of Ethiopia consists of meat and vegetables, both as side dishes and as main entrees. Meat and vegetables are made into a thick stew known as wat and servings of this stew are placed on large sourdough flat bread called injera. The sourdough flat bread is large, about twenty inches in diameter, and is eaten with no utensils. The bread is used as a kind of fork or spoon to scoop up the food. Ethiopian food does not contain any seafood or pork. This tradition was brought down from the Islamic traditions as well as the Ethiopian Orthodox Church and Judaism. Fish is permitted however. A popular drink in Ethiopia is a honey wine known as tej, which is akin to mead. Coffee is the most common drink since it originated in Ethiopia. Coffee is served traditionally in a clay pot in which it has been boiled.